Although there are some people who enjoy both dogs and cats in equal measure, there are a lot of folks who have a distinct affinity for one or the other. At Q Lofts, no need to worry – we welcome both as members of your family! 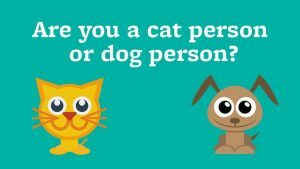 So, are you a cat or dog person? “Cat” people would say that cats are less work, less money, have less noise complaints, are less destructive, can be left alone for longer periods of time, are great companions and will even rid your house of mice when needed! “Dog” people would argue that dogs get you out of the house for exercise, play and socializing on a regular basis, are great companions, can keep a burglar away, and be trained for any number of service positions (guide dogs for the blind, drug detection in airports, search and rescue, police dogs and the list goes on). No matter your preference, dogs and cats need regular care and medical attention. In the north end, there are a couple of veterinarian clinics on Lady Hammond Rd that cater to you and your pet during business hours or 24/7 if needed. There’s even a cat hospital on Quinpool; only a short drive away. Some dogs need extra attention during the day and that’s where a professional dog walker may be very helpful. A cat sitter when you’re away or a drop-in service may be just the thing for your feline friend. Doggy daycares are another great alternative for keeping your furry friend entertained and out of trouble! A quick Google search offers up a variety of services that can be tailored to your specific needs. A real treat for your dog is an off-leash area – check out the north end’s Fort Needham municipal park on Union St or the Merv Sullivan sports field on Kencrest Ave during the winter months. The Halifax.ca website is your source for more information. Dog or cat person – it doesn’t really matter, as long and you and your furry friends are happy and healthy!